Oktoberfest season is officially here with Widmer’s event this Saturday. TriMet celebrates the MAX Orange line – and Tilikum bridge – opening, Belmont throws a street fair, and lots more! 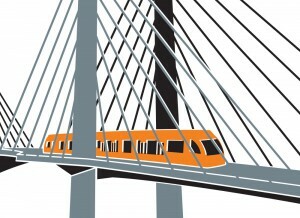 It’s time to celebrate the opening of the new MAX Orange Line and Tilikum Crossing, Bridge of the People. Join us for a day of adventure and fun, with activities and entertainment at many of the newly opened Orange Line stations! Come see, ride free! All rides on TriMet buses, MAX trains, Portland Streetcar and the Portland Aerial Tram are FREE all day long. The 20th annual* Belmont Street Fair takes place on SE Belmont from 11 AM to 7 PM on Saturday, 12 September 2015. One of my favorite Portland street fairs, Belmont will be car free between 33rd and 39th. Big and little pirates alike are welcome to join us for a family festival all about groundwater! Play fun games and go on a scavenger hunt in search of hidden treasure – not gold, but groundwater, a precious resource that flows beneath your feet! Come dressed in yer finest pirate togs, or else the Cap’n might make ye walk the plank! Free kids T-shirts to the first 300 kids! As we move towards the end of summer in the month of September its time to mark our calendars for the various Oktoberfest celebrations that will take place across the region. Now in its 11th year, the Widmer Brothers Brewing Oktoberfest, Portland’s largest and longest-running Oktoberfest celebration will take place on Saturday, September 12 from 3:00 to 11:00pm. Please join us for the 9th Annual Serbian Festival on September 12th & 13th. This is a celebration of food, wine, dance and culture of the Serbian Orthodox people. 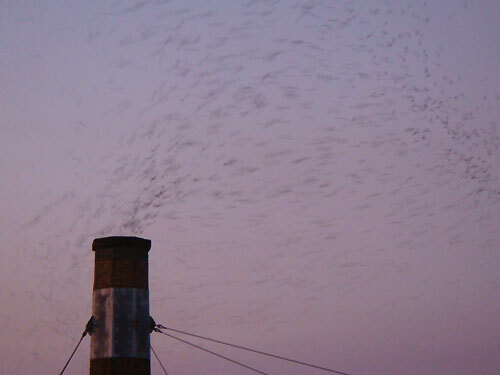 In September thousands of Vaux’s Swifts coalesce into a giant undulating swirl in Northwest Portland near Chapman School after spending the day eating bug. Around sunset the swirl gets more compact, like a ground pepper tornado, and begins disappearing, measure by measure, down the school’s huge old chimney. On the lawn below hundreds of mesmerized and picnic-sated Portlanders stare into the sky from the comfort of lawn chairs and blankets while their oblivious children roll down the grassy hill screaming. Cheers erupt from the crowd when the slippery swifts dodge the opportunistic Peregrine falcons, boos when the predators get lucky.